Due to anticipated high call volume as the Drum Corps International Tour marches into the month of July, in order to better serve drum corps fans across the country, DCI customer service professionals will be standing by on Monday, July 5, to take ticket and merchandise orders. Call 317.275.1212 between the hours of 9 a.m. and 5 p.m. ET to place your order. Have a safe and happy Independence Day Holiday! View a complete list of events available through the DCI Box Office. 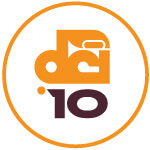 View the brand new catalogue of 2010 DCI Tour apparel.